'QED' Display Cube - Four Tier. 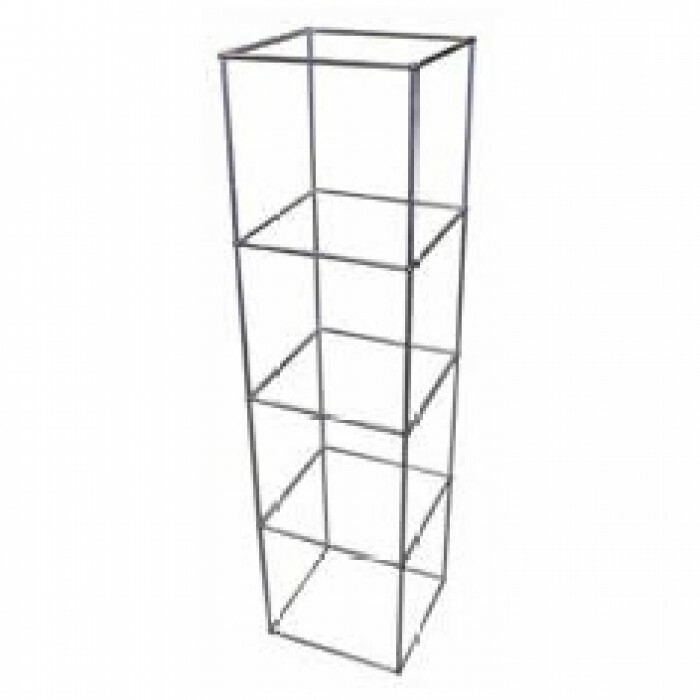 Cube : Alloy frame with 4 glass shelves. Dimensions : 420mm wide x 420mm deep x 1620mm high. Ideal for : Trade shows, events and exhibitions.